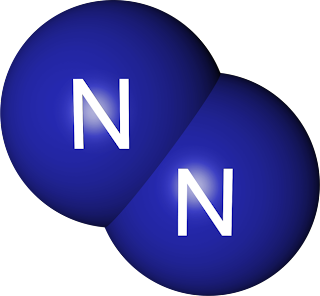 Nitrogen is both an essential nutrient and a pollutant, a byproduct of fossil fuel combustion and a fertilizer that feeds billions, a benefit and a hazard, depending on form, location, and quantity. Agriculture, industry and transportation have spread nitrogen liberally around the planet, say sixteen scientists in the latest edition of ESA's Issues in Ecology series, "Excess Nitrogen in the U.S. Environment: Trends, Risks, and Solutions," with complex and interrelated consequences for ecological communities and our dependence upon the resources they provide, as well as human health. Pulling from a broad pool of expertise in air quality, agronomy, ecology, epidemiology and groundwater geochemistry, the sixteen authors track nitrogen through its different chemical forms and biological incarnations as it progresses across economic, environmental and regulatory bounds. They argue for a systematic, rather than piecemeal, approach to managing the resource and its consequences. "We're really trying to identify solutions," said lead author Eric Davidson, a soil ecologist and executive director of the Woods Hole Research Center. "This is a paper about how much we do know, not about what we don't know. We know about nitrogen cycles, and sources, and we know problems can be addressed in economically viable ways." Once a critical limiting element of agricultural production, excess nitrogen now overflows from fields and stockyards, typically in the forms of ammonia and nitrate, contaminating drinking water and air, and altering the chemistry and constituency of ecological communities. "Nitrogen is readily mobile, and very efficiently distributed through wind and water," said author James Galloway, a biogeochemist at the University of Virginia. Airborne nitrogen from agricultural fields, manure piles, automobile tailpipes, and smokestacks travels with the wind to settle over distant forests and coastal areas. Though extra fertilizer sounds like a good thing, it does not benefit all species equally, leading, in more extreme cases, to sudden changes like algal blooms, which smother competing species and can create health hazards. Nitrogen also acidifies soil, leaching away other important nutrients. Interventions to control nitrogen oxide emissions from power plants and gasoline-fueled engines have made encouraging progress. Mitigating agricultural sources of excess nitrogen is more complicated. "We know how to reduce nitrogen oxides from fossil fuel combustion to a very small amount. We know the science, we have the engineering, and we have the regulatory tools," said Galloway, setting emissions aside as a political, rather than a scientific, hurdle. "On the food side, that's where it gets interesting," he said. "How can you still produce the food the society demands, needs, yet use less nitrogen to produce it?" The report tabulates strategies to help farmers maximize efficient use of fertilizer, rather than just maximize crop yield, including buffer strips and wetlands, manure management, and ideal patterns of fertilizer application. It also considers the cost of implementing them, and programs for buffering farmers against losses in bad years. "There are a variety of impacts due to the human use of nitrogen," said Galloway. "The biggest is a positive one, in that it allows us to grow food for Americans and people in other countries, and we don't want to lose sight of that." Balancing inexpensive abundant food against the damage done by nitrogen escaping into the environment is a conversation the authors would like to hear more prominently in policy arenas. "Yes, we have to feed people, but we also need clean drinking water, clean air, and fisheries in the Gulf of Mexico," said Davidson. "The science helps to show those tradeoffs, and where we most stand to gain from improved nutrient management in agriculture."